Gousto is a food subscription box service that brings you quality, simplicity and variety, with 30+ recipes a week to choose from to create your very own recipe box. You get to pick something exciting from the recipe selections each week, and have all the ingredients delivered to you door. How great is that?! No more wandering around the supermarkets for hours getting inspiration and choosing what you will eat for dinner, you can simply log onto Gousto and pick whatever you fancy or try something you wouldn't usually go for. - You choose from over 20 recipes a week. You also have the option to pause or skip boxes whenever you like, so it completely up to you when and how often you receive your food delivery. 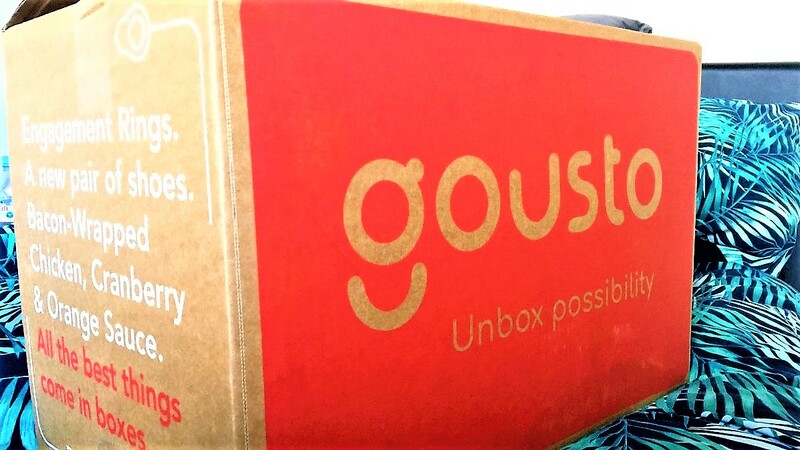 - Gousto deliver to you perfectly measured ingredients, any day of the week, that allows this subscription service to fit in with your lifestyle. - You cook get to cook new and impressive meals that you’re proud to share with the people you love, as well as your Instagram! Below are the 4 recipes that I have chosen to receive in my box and I can't wait to get stuck right in! 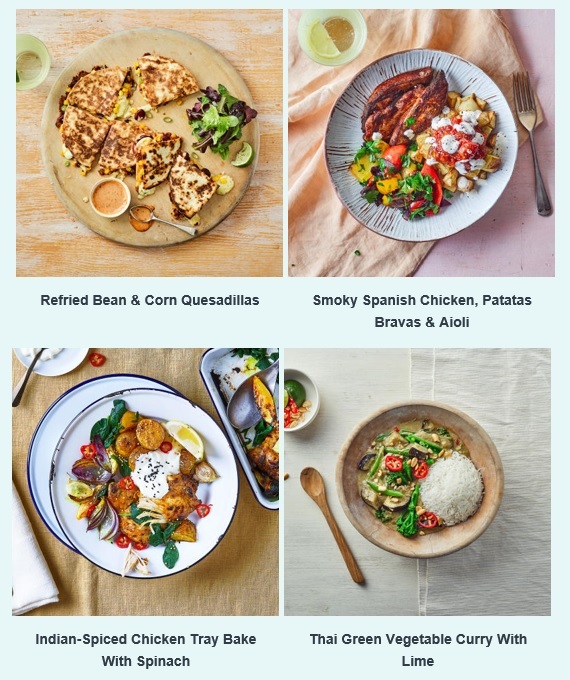 With Gousto, you have such a variety of recipes to choose from; wholesome, adventurous, vegetarian, meat and fish. For me, this is a great idea. I love to be adventurous when it comes to cooking, so getting to pick new recipes and try new ingredients is perfect. That's what is simply great about Gousto, there is always something new and fresh to pick from, you'll be spoilt for choice! When your recipe box arrives, it has everything you need to cook up to 4 delicious recipes that you have picked from the website. Your box will come with insulated packaging to keep food cool, this is perfect if you aren't at home when your box is delivered, as your food is guaranteed to stay cool and fresh until you get home. You'll receive all the ingredients for the recipes, and they are perfectly measured from trusted suppliers, helping you to have no food waste! Also containing you easy-to-follow recipe cards help you prepare and cook your dish with step-by-step instructions, what more could you want? If you're interested in giving Gousto a go, use the discount code " LTHORNBERRY ", this code gives you 50% off your first two boxes! You can use the link to sign up here and get your recipe box delivered asap!